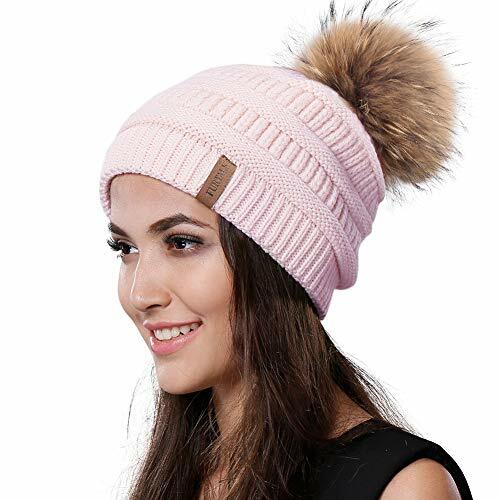 WINTER WARM BEANIE HAT: 100% Soft Acrylic. One Size Fits Most. Acrylic is lightweight, soft, and warm, with a wool-like feel. Acrylic takes color well, is washable, low-pilling, and generally hypoallergenic. 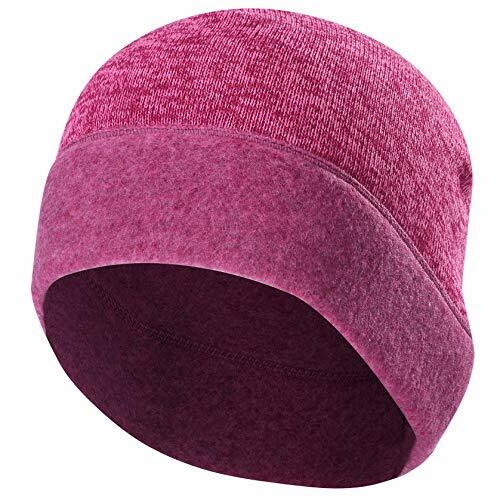 THICK AND STYLISH: This beanie is designed to look stylish with its various colors. You can use it with every outfit matching the colors or going with contrast. 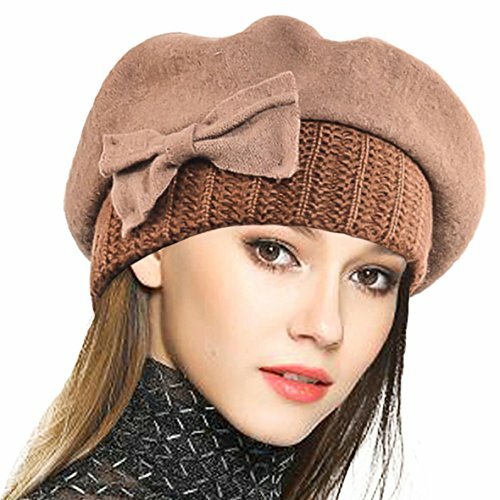 RIB KNITTING: These beanie caps adopt with rib knitting method so that they are warm, soft, cozy and comfortable, which are suitable for men and women. 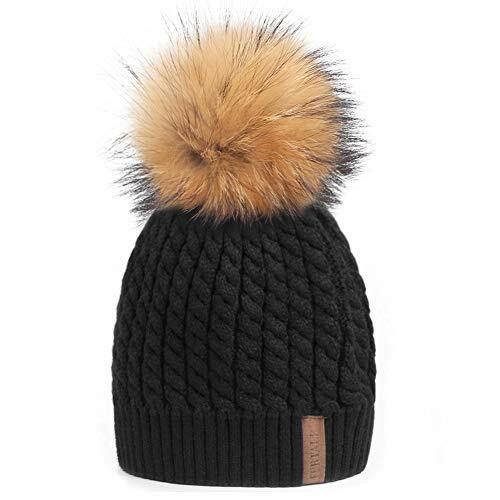 SLOUCHY AND STRETCHY: These beanie hats are slouchy and stretchy. 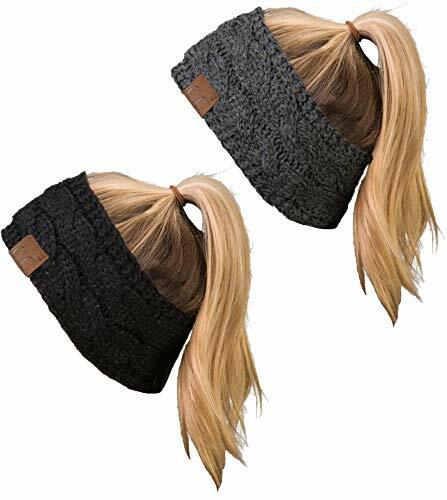 The long cuffs add an extra style to the overall look and you can make use of them to cover up your ears. 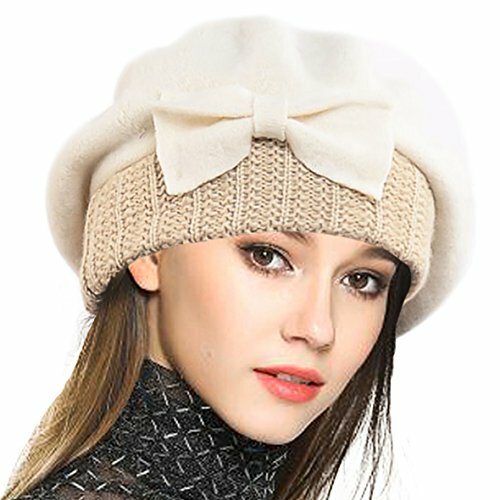 High quality Material: Soft stretchy acrylic yarn rib knitting cap. 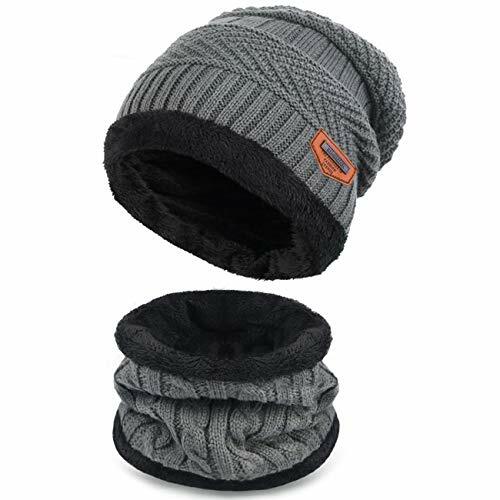 This fleece lined beanie are warm, comfortable and cozy while touching your head, ears and cheek. Good Match: Easy to pair with all of women winter clothes. 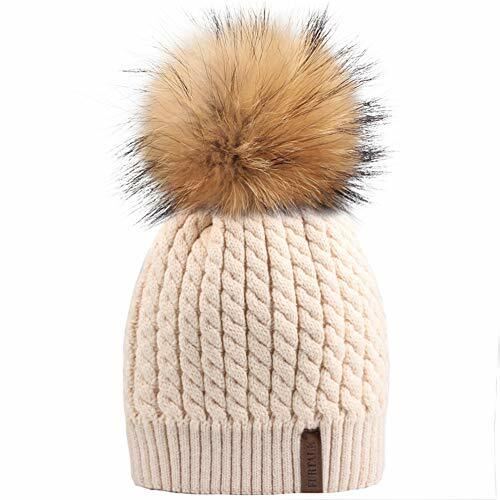 This winter slouchy beanie hat are perfect to wear for indoors and outdoors activities, including walking your dogs, cycling, skiing,snowboarding etc. 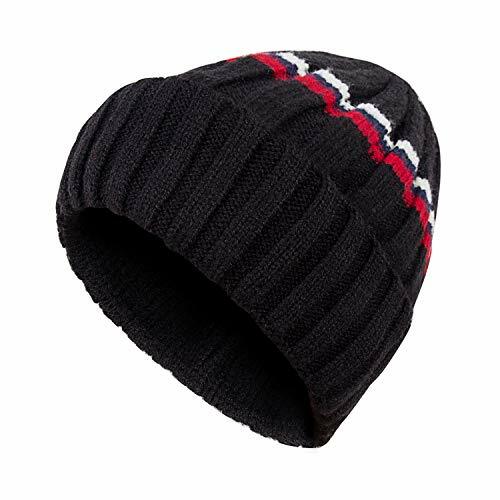 Stylish Design: This beanie is design to look stylish with its variety colors. 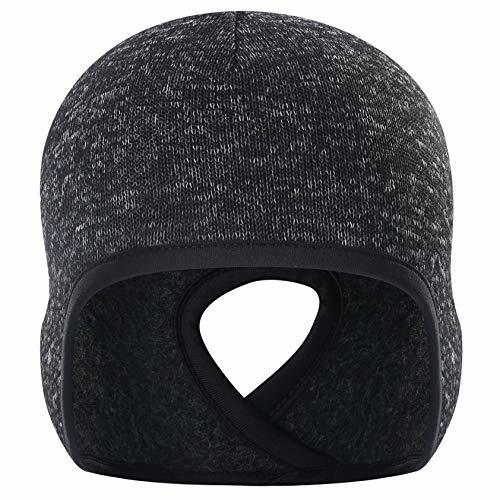 You can get three different colors of the hat, including black, gray and Oatmeal so you can buy one or more according to your preference. 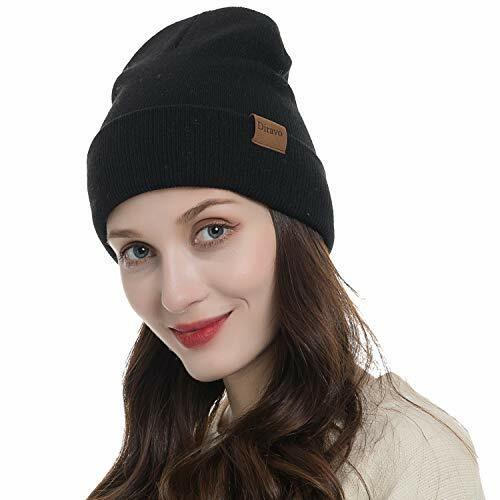 Best Choice For Winter: The Beanie is perfect accessory in the cold winter and winter activities. 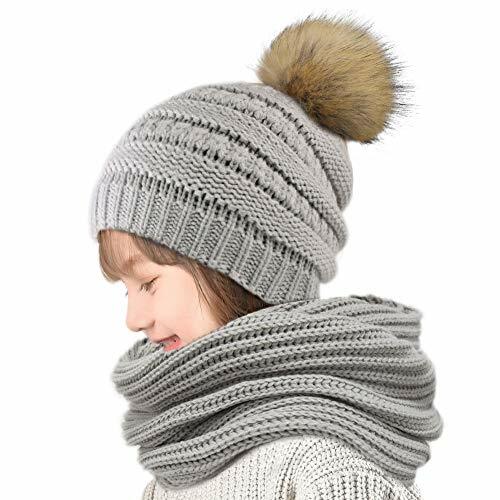 The knit is thick so that it can prevent the cold wind from your ears and head. 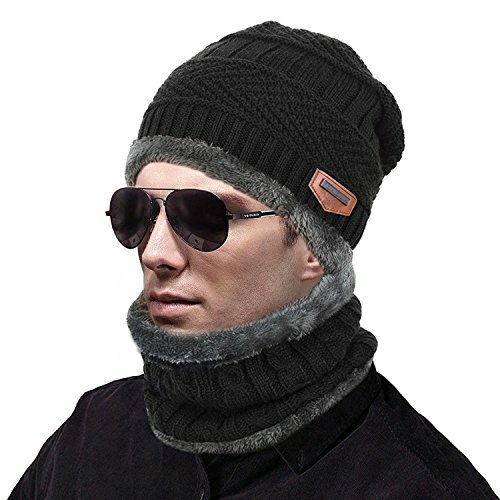 It would be great Winter Gift for anybody. 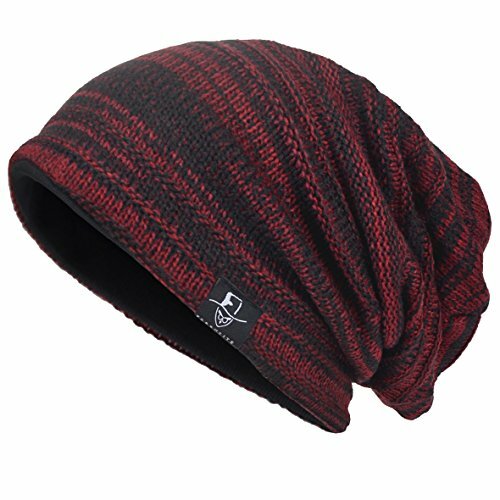 EASY WASH: The beanies can be hand washed when needed. Dipping the beanies in warm water with mild soap makes it as clean as new! 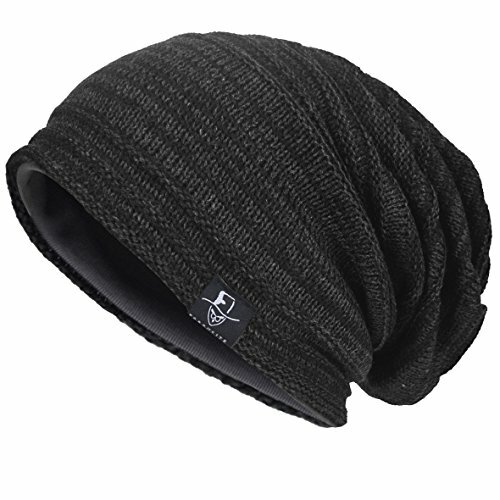 Get your favorite and the most durable beanie now! 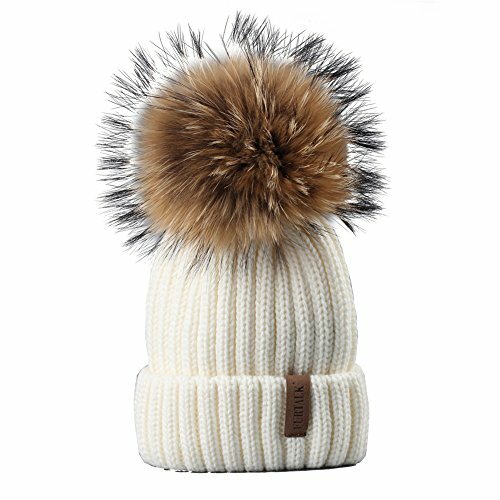 1.Material & Size: This warm winter beanie hat for toddler is made of high quality materials, keep the kids soft and cozy. 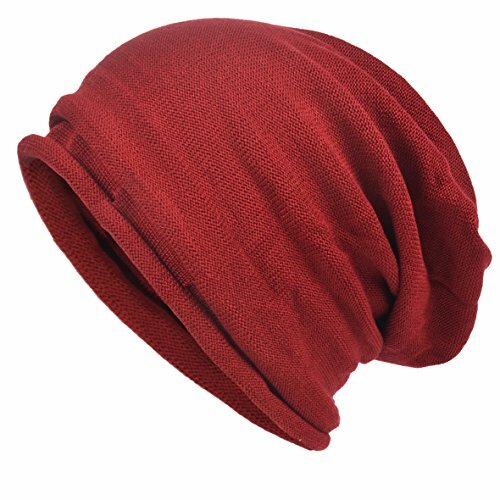 Soft and Stretchy, One Size fits for 5-10 years.The beanie has plenty of stretch for growing into and getting multiple years use. 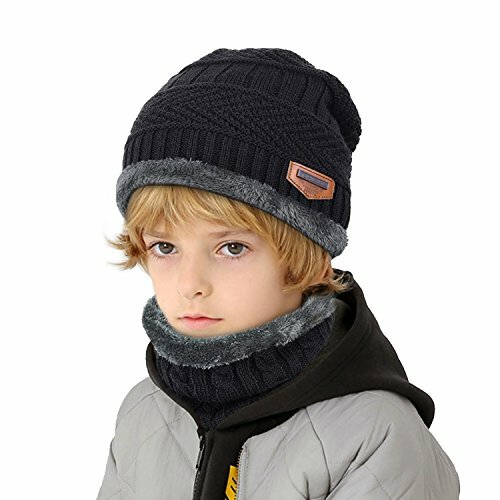 2.Design: Soft and breathable material, keep your kids head warm. 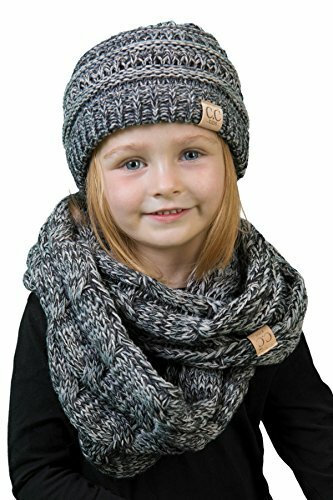 Cute with simple style that is great for everyday wear and stretchy to grow with your kids. 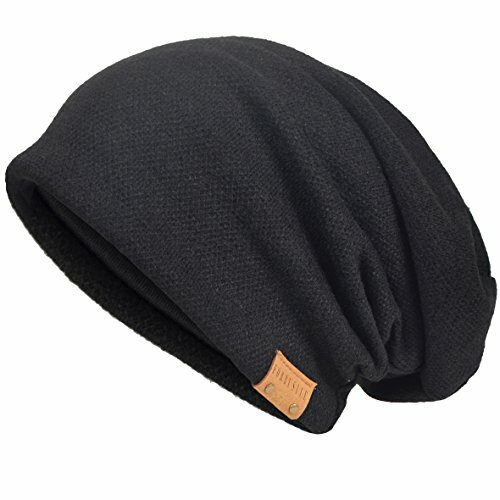 3.Feature: This knitted beanie cap is made of durable materials which are eco-friendly and comfortable. 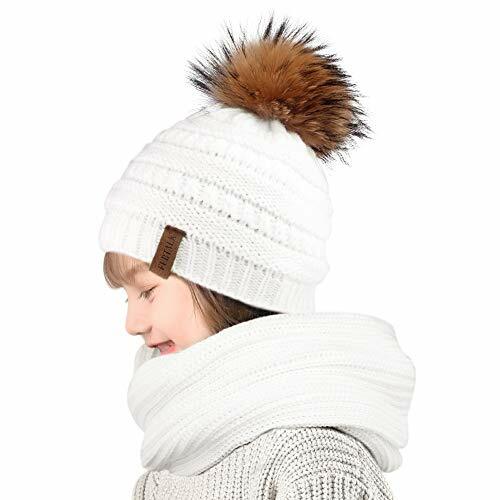 With its light weight, this hat will not cause pressure on your kids' head while keeping warm. 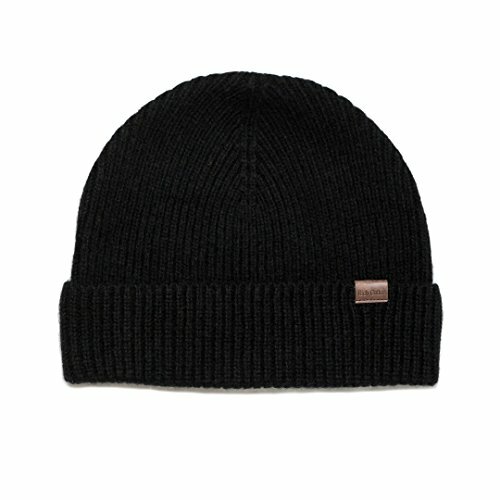 4.COMMON OUTDOOR USE: Beanie cap is soft, stretchy, warm, cute, beautiful. 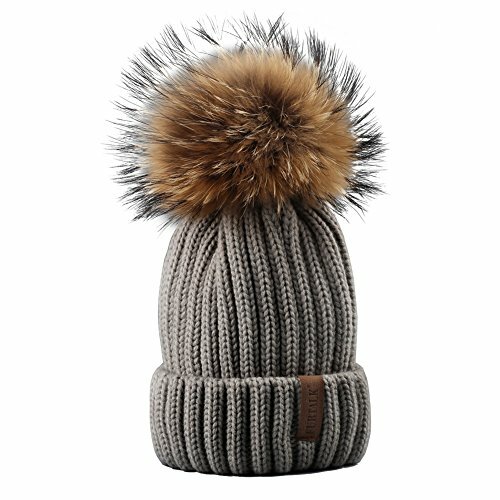 Wonderful winter knitting hats for kids wearing while skiing, snowboarding, skating, sledding, snowshoeing, camping, hiking or any outdoor winter sports and activities. Soft material makes kids feel very warm and comfortable. 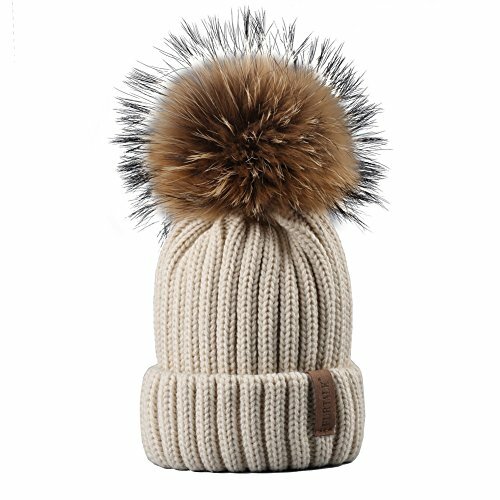 5.GREAT LOOK: Just when you think your child can't get any cuter, here comes Dsane beanies hats. 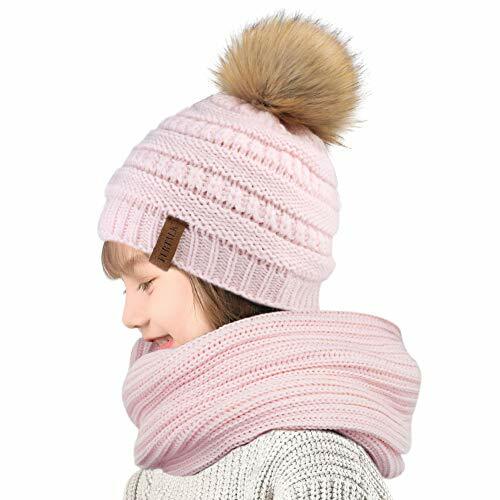 This thick, knit hat will keep your kid so warm and cuddly, you will want to see your cutie-pie in each color! 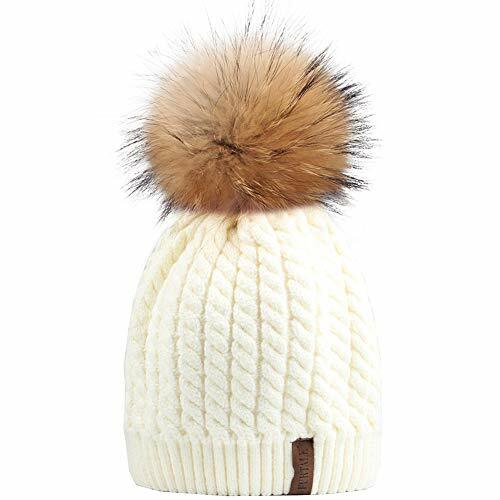 Beautifully designed, this unisex kids' beanie cap will look fabulous on your little angel and is perfect when the weather turns from warm to snuggly. 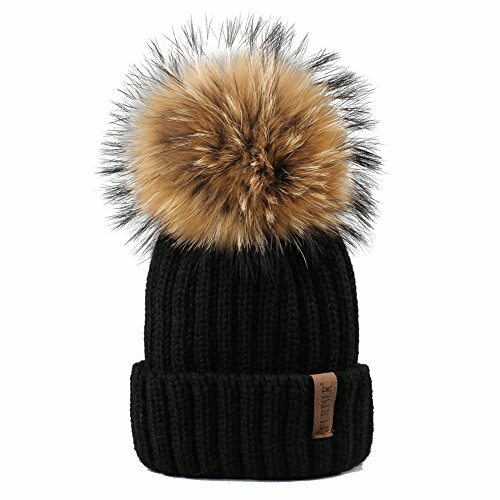 Great to throw on with everyday outfits and can add pop of style and fun with some cute boots or a winter coat. FURTALK puts a lot of time and effort developing it's products; We have become experts at knitting and fur industry and use our professional skills to develop our beanies and scarves with an optimal balance between fabric density and elasticity; We have no doubt that you will feel the difference and soon as you find your new FURTALK beanie and scarf. 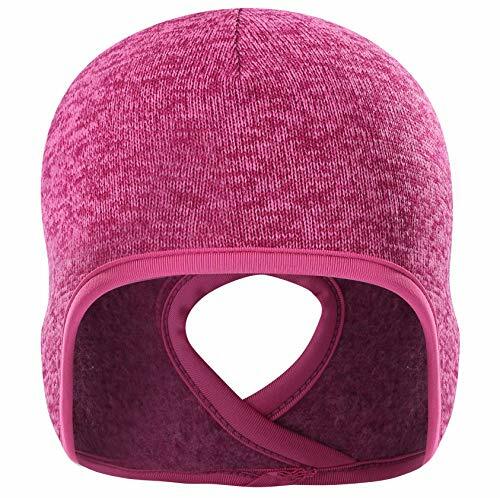 Made of High-quality knitting acrylic and cotton,skin-friendly.Comfortable and warm. 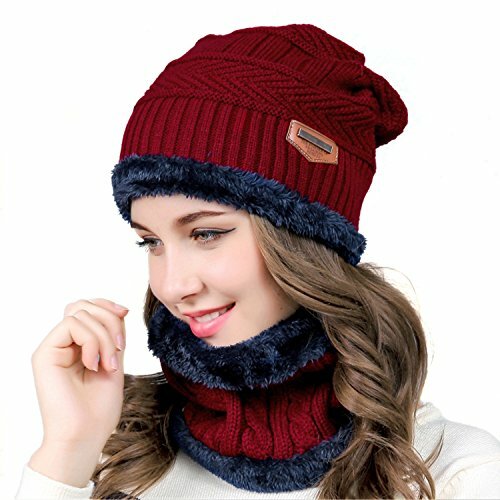 Stretchy hat and Scarf, Size: cap 10.2''*9.8''(L*W); scarf 9.4''*8.7''(L*W). 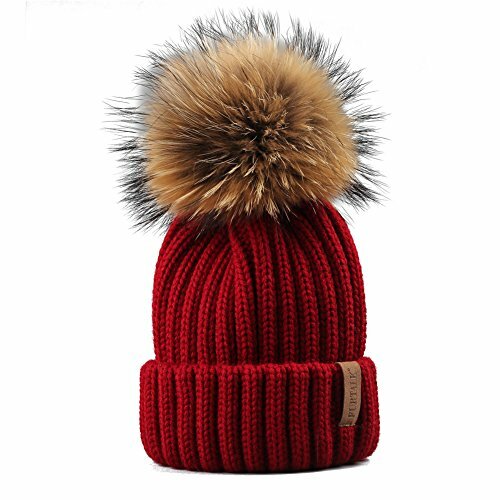 Circumference: 22''-23.6'', like some "one size fits most" can be.Suitable for men and women. 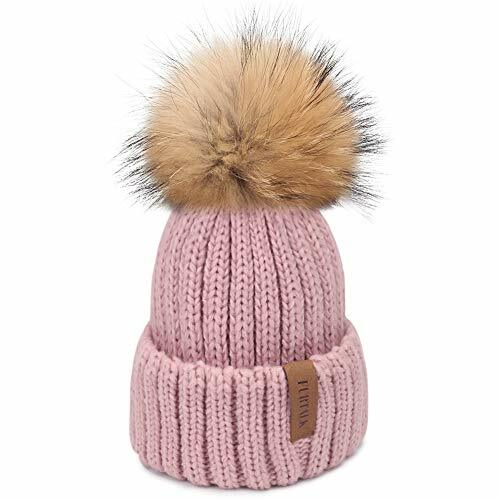 Wide Application-Perfectly suitable for various occasions,like party,travelling or outdoors,etc.The thicker fleece lining allows you to look good when its cold out. 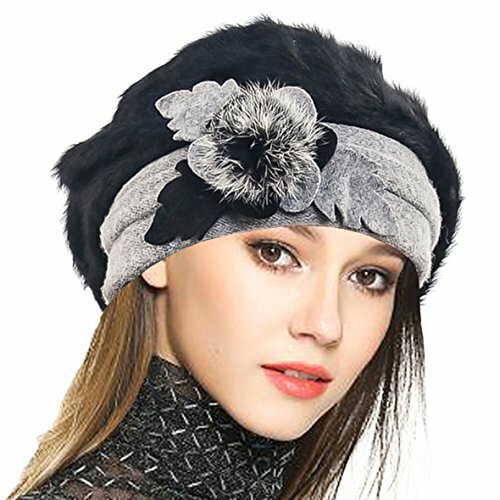 2-in-1 womens winter hat and scarf set.Multi-function hat and scarf set,you can use it separete or together as you will. 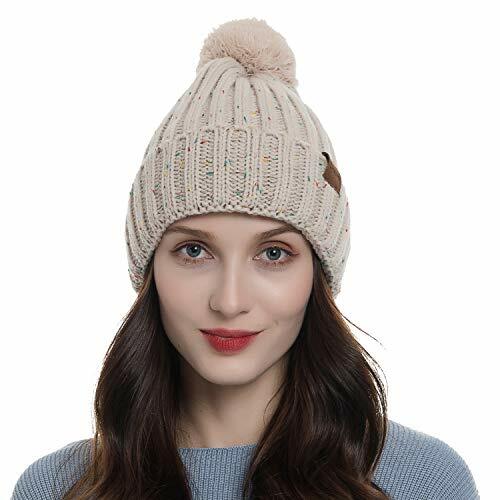 A best gift you can prensent this perfect knitted set to your relatives or good friends,and enjoy the good time in autumn and winter. 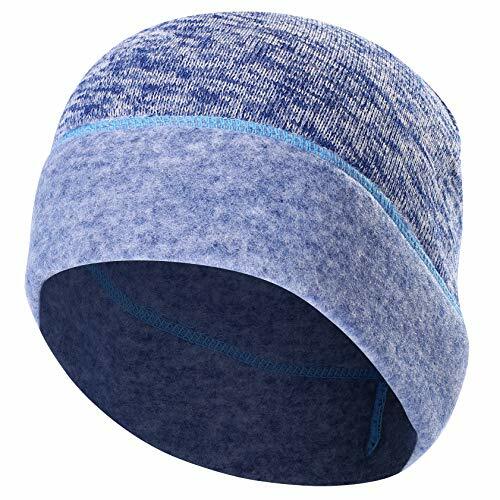 HIGH QUALITY & HANDMADE：this unicorn knitting hat is made of acrylic fabric,100% handmade looks like your grandma knitted this with love!Soft thick and adorable. 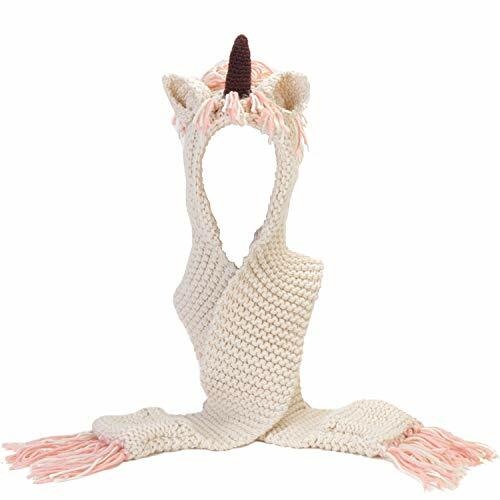 ONE SIDE FIT MOST:this unicorn hood scarf beanie is suit for 5 years to 16 years kids,boys or girls,do also fit a small adult. 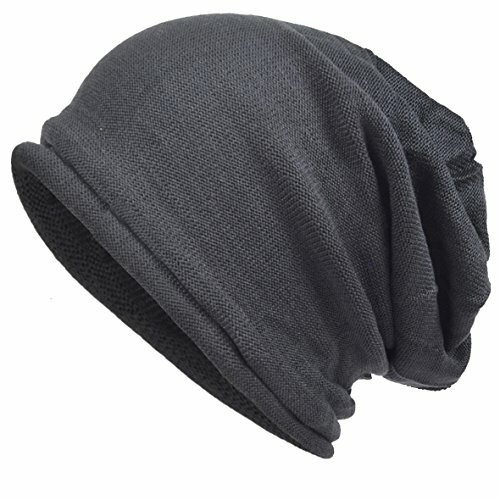 COMFORT AND WARMTH IN MIND DESIGN:hooded scarf with pocket provide extra warmth during chilly weather. 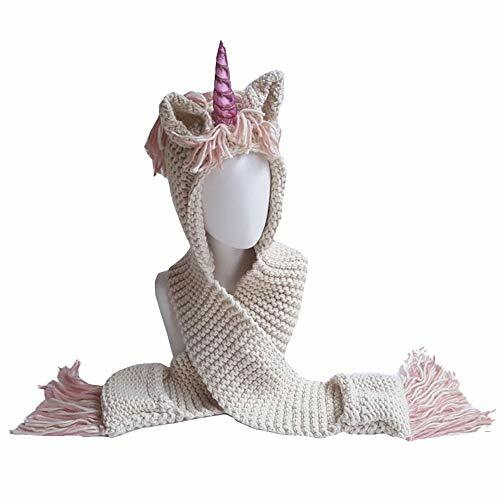 GREAT GIFT IDEAS:Perfect for Christmas gifts,new year gifts,birthday present,unicorn lovers. 100% FREE RISK PURCHASE:30 days money back guarantee. 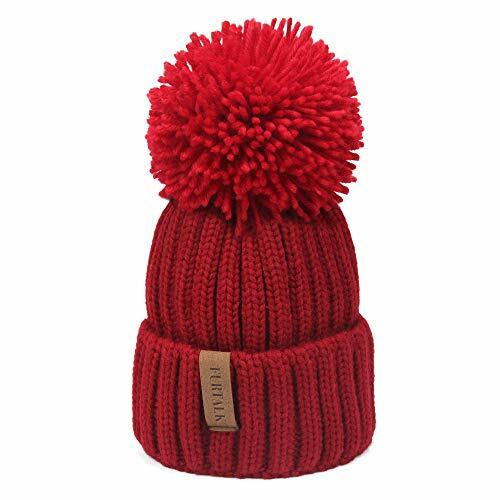 The cuffed beanies come in a free size on anybody's head with comfort and coziness guaranteed. 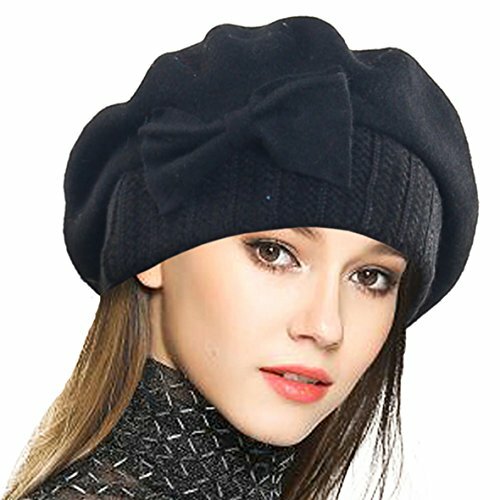 Feel free to find your favorite color from our wide collection, and rest assured that our beanies for men and women, will be your next favorite caps of all time! 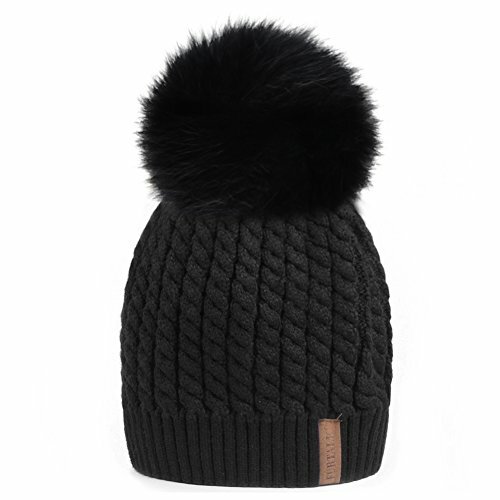 It keeps your head warm covering up the ears and keeps you cosy under the hat. You can try it and let us know how you feel. The beanies can be hand washed when needed. Dipping the beanies in warm water with mild soap makes it as clean as new! 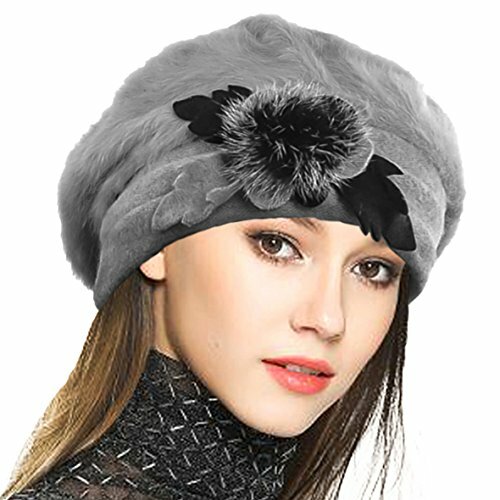 This winter hat is made of high quality stretchy acrylic to fit any size.